This is the second trip I took with Dawn and Fred. Both were amazing! Tuscany was a sensory and educational delight. I was introduced to yoga overlooking the misty morning valley. Everyday of my week there was a magical adventure. The grand architecture of the towns competed with the beautiful views of the Tuscan landscape. But as gorgeous as the land was, it did not overwhelm me it gave me peace. The churches we visited gave me insight into why religion was the all encompassing power of the medieval and renaissance times. The gardens I walked through were peaceful and beautiful with plenty of ideas for my own home. It seems like most Italians enrich their homes with plants, flowers and pottery. I met people living their passion with pride and humor. All of these experience are lasting memories to take home. As they Italians say "Grazie Mille!" When I signed up for a trip to Italy with Dawn and Fred, owners of Viva Italy Tours, LLC (formerly Cooking with Dawn Tours, LLC) Never did I imagine what it would turn out to be. I met the most wonderful people, have seen amazing sights and tasted foods and wine that I never imagined. The entire trip was like living in a beautiful, peaceful dream, that goes on and on. From the moment I watched the first sunrise, I felt a peace so strong in my soul, and that peace will go with me no matter where I am! A big thank you to everyone who help make this trip so amazing. Ciao and Arriverderci! Always wanted to travel to Italy and started doing lots of research into places to go, best time of the year, travel groups etc... So many choices and opinions made the investigation experience overwhelming... Connected with Dawn Bause owner of Viva Italy Tours and that was a blessing. She put together an amazing small group privately guided tour of Venice and Tuscany and managed all of the details. I was connected with local experts to make the whole experience effortless, authentic and personal. The accomodations, tours, and food were totally amazing! Really enjoyed being part of a small group and being able to enjoy each day with no worries or trouble. Viva Italy Tours is a perfect choice for small privately guided tours in Italy! Italy was a dream made possible by Dawn. We wondered if a planned trip would be a good fit for us, but after receiving rave reviews from a friend who travelled with Dawn a couple years ago, we decided to try her trip to Venice and Tuscany. We were not disappointed. Dawn has many personal connections in Italy. She uses those contacts to enhance her guests travel experiences. We ate at a private residence, we were picked up by a friend on his boat and taken for a sunset cruise in the Venetian lagoon and then off to his family restaurant in a small village on the mainland. We were able to tour an old church not open to the public and stay in a 1000 year old monastery. The owner of that monastery drove us to vineyards, and to small quaint villages. We were given plenty of free time to customize our own days but generally stuck with the group since we made lifelong friends with the people we were with. What is the key to Dawn’s success? Catering to guest wishes, keeping her groups small (12 people in Venice) and being flexible. I asked to be taught about olive oils and soon we were whisked off to a vineyard for a romantic lunch under the trees with wine pairings and olive oil tastings. Our wish was her command. I cannot recommend her enough. 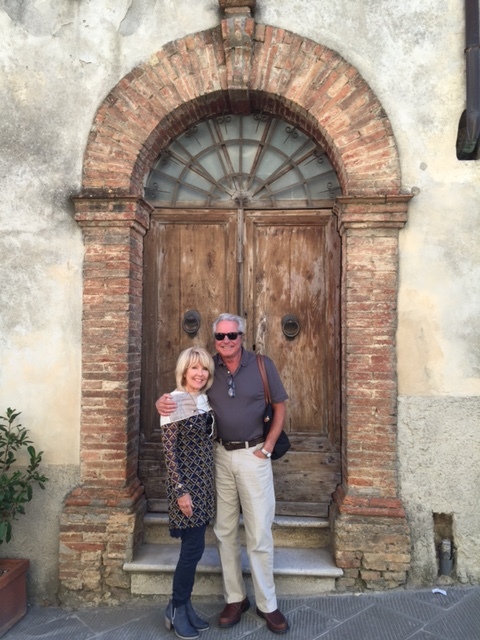 Nancy and I recently went on 2 tours with Dawn - 3 Days in Venice and 7 Days in Tuscany. We debated on trying to book everything ourselves or go with a small group tour company. From the moment we made contact with Dawn Bause we felt comfortable about trusting someone else to make our trip successful. She took care of everything from the moment we arrived. Transportation, lodging, meals, and excursions were all set. Our input was used to help customize the daily agendas towards our interests. We were introduced to local people who became our guides and presented a more authentic local experience with passion. The meals, accomodations, and tours were top notch. It was so nice to not have to worry about all of the details that go into planning a trip like this and just enjoy each day without all the stress. Just an amazing 10 days in Italy!!!! Traveling with Dawn and Fred is truely like traveling with family. Their knowledge, attention to every detail was over the top. The Tuscan countryside and scenery was beautiful and so peaceful. A wonderful break from our hectic world. We will travel with them again! We ate, drank and met some really nice people. Tuscany was like a movie set, not to mention the lunches in the vineyards was like going to an afternoon wedding everyday. Ours tours of Sienna, San Gimignano, Montalcino, and Pienza were fairy tale experiences. Really wanted to thank you! !